The keys to your business future We specialise in furniture for hotels, motels, serviced apartments, resorts and refurbishments. SE AMLESS GUEST E XPERIENCES. ONE PROVIDER. 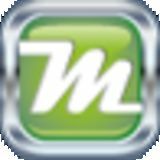 AccomNews is distributed quarterly to hotel, motel, resort and apartment properties throughout New Zealand by Multimedia Publishing Limited. The views and images expressed in accomnews do not necessarily reflect the views of the publisher. The information contained in accomnews is intended to act as a guide only, the publisher, authors and editors expressly disclaim all liability for the results of action taken or not taken on the basis of information contained herein. We recommend professional advice is sought before making important business decisions. Advertising Conditions The publisher reserves the right to refuse to publish or to republish without any explanation for such action. The publisher, it’s employees and agents will endeavour to place and reproduce advertisements as requested but takes no responsibility for omission, delay, error in transmission, production deficiency, alteration of misplacement. The advertiser must notify the publisher of any errors as soon as they appear, otherwise the publisher accepts no responsibility for republishing such advertisements. If advertising copy does not arrive by the copy deadline the publisher reserves the right to repeat existing material. Disclaimer Any mention of a product, service or supplier in editorial is not indicative of any endorsement by the author, editor or publisher. Although the publisher, editor and authors do all they can to ensure accuracy in all editorial content, readers are advised to fact check for themselves, any opinion or statement made by a reporter, editor, columnist, contributor, interviewee, supplier or any other entity involved before making judgements or decisions based on the materials contained herein. AccomNews, its publisher, editor and staff, is not responsible for and does not accept liability for any damages, defamation or other consequences (including but not limited to revenue and/or profit loss) claimed to have occurred as the result of anything contained within this publication, to the extent permitted by law. Advertisers and Advertising Agents warrant to the publisher that any advertising material placed is in no way an infringement of any copyright or other right and does not breach confidence, is not defamatory, libellous or unlawful, does not slander title, does not contain anything obscene or indecent and does not infringe the Consumer Guarantees Act or other laws, regulations or statutes. Moreover, advertisers or advertising agents agree to indemnify the publisher and its’ agents against any claims, demands, proceedings, damages, costs including legal costs or other costs or expenses properly incurred, penalties, judgements, occasioned to the publisher in consequence of any breach of the above warranties. © 2019 Multimedia Publishing Ltd. It is an infringement of copyright to reproduce in any way all or part of this publication without the written consent of the publisher. Suppliers share their views in one-off, topical pieces General editorial. Case studies and features may cite or quote suppliers, please be aware that we have a strict ‘no commercial content’ guideline for all magazine editorial, so this is not part of any commercially funded advertorial but may be included as relevant opinion. Happy reading! What happens when the growth stops? Are we destined for a robotic hotel workforce? Refurbishment	Creating a world-class hotel	Inside story: the design trends of 2019	Great untapped opportunity? Rayma Jenkins, Fergus Brown, Julie White, Sally Attfield, Stephen Hamilton, Matthew Goss, Judy Senn, Brendon Granger, Vee Kessner, Andrew Morgan, David Lund and Doug Kennedy. Safety & Security	Safe, secure, seamless: Does door lock technology deliver? Marketing	What are the positives of franchising? hour weeks and only taking sufficient income to pay for food etc. while they pay business expenses and wages to others.” Yes, we want a society we can be proud to call equitable, and the response to the Christchurch attacks has only served to underline the national determination to see all Kiwis treated with dignity. But hospitality’s small business owners also need help - and tax breaks touted to run alongside the minimum wage rises have been slow to materialise. have paid for meets minimum legal and safety requirements. As with any competition, all participants have to be playing by the same rules, and that means that individual suppliers need to be regulated. According to Airbnb’s own data, globally the company have hosted approximately 300 million people, while hosts have earned a collective $60 billion, over just a decade of operating. The next global target for Airbnb is to host a billion guests a year by 2028. To put that in perspective, Airbnb is aiming to host approximately one eighth of the world’s population each year. In NZ, Airbnb is already big enough to be pushing (and pricing) local residents out of popular holiday destinations such as Queenstown. The issue, and the number of unregulated hosts operating across the country, is already large enough, and significant enough, for local councils to push back on requests for regulation that the task of collating and tracking down all hosts is too difficult and/ or too expensive to achieve. If only even a fraction of Airbnb’s own growth target is achieved, local councils can expect this task to get a whole lot tougher, and we can expect Airbnb’s growth to exacerbate the issues its unregulated hosts already pose to both the industry and guests. Local and central government have sought, and been given, feedback from affected parties regarding the effect of peerto-peer accommodation. The impact of peer-to-peer accommodation formed a key part of Hospitality NZ’s recent submission to the government on New Zealand’s tourism strategy. Hospitality NZ has been meeting and sharing with MBIE’s dedicated team tasked with investigating the sharing economy. We want to work with central and local government on this, and provide all necessary information needed to make a positive change. It is typically ordinary Kiwis that are most affected by the impact of Airbnbs, whether they are struggling to find long term housing in the area where they live and work, or an ordinary family, working hard and honestly to operate a small, independent motel. Like professional hospitality operators, governments are typically tasked with a duty of care towards their citizens. If a government is interested in the welfare and wellbeing of both citizens and international visitors, not to mention the health and wealth of a nation’s housing market, employment market, and overall economy; a duty of care towards small business owners (who are creating jobs, and running a significant lion-share of the tourism industry, NZ’s number one export earner), should be of the utmost importance for government as well. From rooms to restaurants ... front office to back NoVacancy delivers the latest trends and fresh ideas for the fast changing world of hotels and accommodation - bringing together the hottest new products, innovations, networking and learning to help you modernise your property, optimise your business, enhance guest experience and maximise proﬁts. sold out for the last four years. Now in its thirteenth year, the conference will extend over two days, June 19-20, at Cordis, Auckland. Looking back over the last 13 years, it is hard to see a time when our sector has faced more rapid change. There is certainly a lot to talk about and plenty to learn from our excellent speaker line-up. We are excited to announce former prime minister Sir John Key as a keynote speaker on 20 June. He is sure to offer us fascinating insight in his trademark engaging manner. Philip Poole, the chief marketing manager for chocolate maker Whittaker’s, will give delegates ‘behind the scenes’ insight. New in 2019 is the Technology Award recognising an employee who has made an exceptional contribution in championing a technology project which has led to increased guest satisfaction and operational efficiency. Entries are open until 29 April at www.nzhotelconference.com. The awards are a fantastic way to celebrate the achievements of your team members, so do take the time to enter and reward your best staff. As co-hosts of the Conference and Awards, we look forward to welcoming you to the premier annual event for New Zealand’s hotel sector. There has never been a better time to embrace new thinking to keep ahead of local and international trends affecting our businesses. them when they take their holidays. Electric vehicles are ideal for holiday transport as they provide emission-free travel and help us move to a sustainable tourism industry. But we also see opportunities for park owners to switch their own vehicles to EV’s - especially courtesy vans and people movers. Holiday parks want to be part of a sustainable approach to operating in the tourism industry, and it will be encouraging to see these chargers used. In the B&B world we are rated highly for guest satisfaction so when guests arrive who are not happy we are rather shocked, but it does happen. enjoying conversation with us and the other guests) so imagine our shock when she came back from dinner and told us she had decided she could not stay here beyond that night. could appease. She arranged for them to view the local motel to see if that was what they wanted and arranged a booking for them there. The guests asked about remuneration and were referred back to the agent. Our experience: The guest booked a couple of days before she was due to arrive, also by bus. I picked her up and drove her through the city and to our B&B. On the way she commented she thought she was staying in a hotel with a swimming pool and bar. There is no hotel like that in our city. We do have a number of photos on the OTA’s site but none of a pool and we are clear we are a B&B. It seems her friend booked it. We mistakenly believed our friendliness and the standard of our facilities would win her around but we also did not want a dissatisfied guest so agreed, but as she had booked through an OTA we suggested she cancel the second night to avoid commission charges. She could not do that as it was within our cancellation period. As she stayed one night and hence entitled to score us we were reluctant to insist on full payment however she offered to pay the commission and even said on departure she hopes to come back with her friend later! The difference between the two anecdotes is we were out of pocket (I know we could have insisted) whereas the other host referred them back to the agent who had booked the guests however we both averted dissatisfaction. It wasn’t personal! We could have gone into a complete and utter flap. In these cases, we were confident that what we advertise is what we offer. We are authentic. Always ensure you have a cancellation policy. When the guest discussed remuneration with the first host, she was able to say: “I’m sorry, you will need to talk to your travel agent and I’m happy to contact them on your behalf.” She is unsure what happened, but they were not out of pocket. In our case we did miss out on one night’s accommodation but the one we did have was a bonus as the room had been vacant two days previous and we did not have to pay the commission. Both of us offered understanding, both of us averted a hostile situation and both of us will continue to provide an experience that is valued by the guests who stay with us. I gratefully acknowledge the assistance given by our board member Donna Brooke. We have earned a reputation of delivering FF&E that lasts the test of time. We provide inspiring and liveable spaces for student common areas and rooms. We provide customised industry specific ergonomics and aesthetic furniture. Our packages enable unit owners to earn or occupy from date of settlement. Personalisation: What it is, and what it is not There’s nothing that makes a stay feel less personalised than poor attempts at personalisation. Being in the field of hospitality training, it grabs my attention when I see the word “personalisation” in a headline or the title of a conference session. Lately this seems to be a more popular buzzword than ever. However, when I read the post or attend presentations, it seems the recommended solutions always seem to centre around data collection and then some tech solution. Forcing me to use a smart TV to order room service because it takes longer and it’s less forgiving when forgetting to order something extra. Attempts at personalisation such as these generate about as many ‘warm fuzzies’ as the Happy Birthday texts and emails I get from my doctor, dentist and auto dealership. Q. What kind of things can visitors expect to see? A. It’s a great question with a broad answer. Our team spends 12 months curating hundreds of suppliers across many categories; from software for PMS, revenue management and marketing to decoration, art and furniture that enhance your guest experience, energy and cost saving solutions, food & beverage products, virtual reality, robots and everything in between. It’s everything you’d expect and more importantly, amazing things you’ve not thought about that can help you be more profitable. completely free, each speaking to different job functions. This includes: Hotel Leaders Summit, Small Hotelier Summit, Restaurant Reinvented Summit, Hotel Engineering & Maintenance Summit, Hotel Marketing Summit and a Design Summit. More details on these can found on the website at NoVacancy.com.au. business risk. Will it work with existing hardware? With software from other vendors? Will it grow with demand? How good is the support? And can it be switched out again, if it doesn’t deliver? teams, a halt to the company newsletter and travel bans. useless when it comes time to trim, reduce and curtail. They do not work when reductions are necessary. They just confuse the executives and frustrate the department managers. The next big thing as I see it is, we learn from our past mistakes. We take the appropriate actions to ensure our operating department managers all know what’s in the middle of their statements, down to how many of each item and at what cost that makes up every line of their expenses. We also need to go down to a monthly payroll forecast that is detailed by position and contains the exact number of hours wage rate. This way when it’s time once again to cut costs we will have a real starting point. Or, we can just hold our breath like I did and hope that it will all get better soon. • Fixed weekly fee • Ideal for small-to-medium accommodation operators • No long-term contracts! Once upon a time... ■ David Lund is founder of Hotel Financial Coach, which helps hotel leaders with financial leadership coaching and workshops. There is no escaping the fact that technology is inspiring the new hotel operations. The biggest technology changes in the hotel industry happen in the background, working to help the hotel streamline its operations. According to Hotel Trend 2020, 93% of hoteliers surveyed agreed that “highly trained staff backed up by technology will be key to delivering personalized service & experiences”. In a world where technology has only led to increased screen time, how does a hotel make sure that technology supports more face-up rather than face-down interactions? Check-ins are a breeze Take the scenario of a guest arriving at a hotel and wanting an early check-in. The usual process is quite manual involving a lot of back and forth communication, from assigning the room to a housekeeper to confirming that the room is ready, and can be complicated. With FCS Solutions, the process isn’t shortened by technology, but the time taken to complete the process is. A couple of clicks and the room is automatically prioritized on the assigned housekeeper’s FCS Housekeeping mobile app. Once the room is cleaned and supervised, it will be returned to the inventory; ready for guest occupancy. All done on-the-go-on a mobile app that is integrated seamlessly with the hotel’s PMS. No running around; no scraps of messages; no looking though schedules to find an available housekeeper. And the best part, instead of spending time getting the task done, the front desk staff can spend time with the guest with a more affable interaction. 93% of hoteliers surveyed agree “highly trained staff backed up by technology will be key to delivering personalized service & experiences”. Happy staff means happy guests Technology helps staff do their jobs in a more efficient and effective way. Staff who are happier are friendlier with guests, and guests leave the hotel knowing that they were treated with the best hospitality; thereby increasing guest loyalty. FCS Solutions help hoteliers build that loyal bond with guests. Things can get even easier for hotel staff and guests, as FCS Solutions can be integrated with most PMS, third-party and IoT solutions to provide a truly unforgettable experience to the guests. At FCS, we enable hotels to deliver the best guest experience. With over three decades of global experience, FCS is a leading hospitality technology platform provider with an extensive portfolio of integrated products used by more than 5,000 hotels, with over 8,000 installations in 32 countries. FCS’ integrated platform for hotel operations enhances the guest experience with web- and mobile-based applications by automating and streamlining processes, empowering staff and providing hotel management with real-time information. Trusted by over 5,000 hotels worldwide, FCS is a leading platform for hotel operations optimization that enhances the guest experience by empowering staff, automating processes and providing hotel management with real-time information. With FCSâ&#x20AC;&#x2122; Hospitality Operations Management platform, hoteliers have access to a complete suite that can be integrated with most PMS solution and third party tools. A NEW ASSET TO YOUR GUEST EXPERIENCE Station W is the new bed side table alarm clock radio for guests. Designed for the modern hotel, it includes features that are both hotel-and guest-friendly. In addition of being a clock, a radio, a Bluetooth speaker with 2 USB ports, it also has wireless charging for QI compatible phones. This stylish unit has just been released. Are you ready to get yours? MODUS VIVENDI THE ANTI FINGERPRINT KETTLE The Modus Vivendi anti-fingerprint kettle is another innovative design by JVD, a 30-year-old French brand who specialise in designing and manufacturing guest room appliances specifically for the hotel environment. This kettle is a truly impressive design with its antifingerprint technology being the perfect answer to the housekeeperâ&#x20AC;&#x2122;s nightmare, no more wasting precious time on polishing your kettles. The kettle is ideal for any hotel room with its 1L capacity, concealed heating element and a wide opening making it easy for your housekeepers to clean the inside of the kettle. Try it out yourself! The world’s first paper-based solution to replace single serve bottles. New Zealand hotels, motels, B&Bs and accommodation providers use an estimated 13 million bottles of shampoo, conditioner and bath gel a year – and although most of these will be packaged in recyclable bottles, the majority will go straight to landfill. Some providers have championed the use of in-shower refillable dispensers but guests regard them as cheap, messy and unhygienic. Guests want their accommodation to be environmentally aware – but not at the expense of their toiletries. Ecostick provides the perfect balance of luxurious packaging for premium-quality guest amenities and a truly environmental solution to the problem of single-use plastics. Especially suitable for family units, with the ability to use under bed space for storage or additional pull out beds, this bunk is the answer to creating a safe family accommodation environment. Haven Commercial’s Combi Twin Single/Double bunks are designed to provide safety and strength for the whole family and provides the best mattress support, for healthy sleeping. The cost of insuring one of your most important investments is so inexpensive. Allerzip Mattress and Pillow Protectors with BugLock will protect your establishments mattresses and pillows from spills and stains, including perspiration, bodily fluids and blood stains. Allerzip also provides protection against airborne allergens caused by dust mites, bacteria and mould as well as additional bite protection and water proofing as provided by the Miracle Layer. Also fully encased providing an effective Fit’N’Forget barrier against bed bug infection. Less time spent is addressing bedding, thereby reducing labour costs and ensuring the lifetime value of your beds. Available in a range of sizes – Single, King Single, Double and King. One of Dunedin’s most comfortable and convenient accommodation offerings is the Quest Dunedin serviced apartments, a property that offers guests a relaxed and comfortable experience. It is located near Dunedin’s CBD and Cadbury World, the University of Otago and Dunedin Public Hospital, Dunedin Railway Station and Otago Golf Club, making it ideal for both corporate and leisure travellers. Roger lives in Australia and Samantha Cavanagh has been the property manager at Quest Dunedin for nine years. Samantha told us: “We pride ourselves on offering guests relaxed comfort and great service, we strive to make their stay as pleasant and homely possible. BEST WISHES The SKY Business crew extend best wishes to Samantha and the team at Quest Dunedin. We continue to enjoy working alongside her to bring her discerning guests the best in TV entertainment. 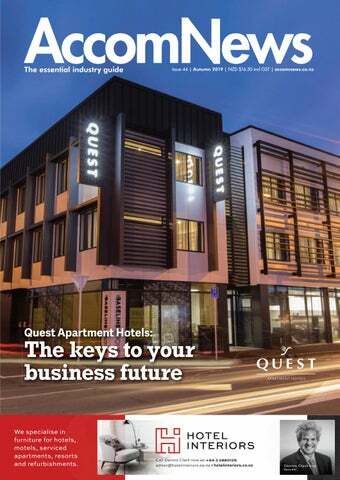 2019 marks Quest Dunedin’s 12th operating year, the well-established business has been owned by Roger Gorman since 2012. There was an extensive range of SKY packages and solutions to choose from that meet all types of guest needs, from the smallest motel to the largest hotels and they were able to pick the perfect fit for their accommodation and their guests: the SKY TV’s 12 channel digital headend. The perfect accommodation for short or long stays it presents a mix of serviced studios, one- and two-bedroom apartments, all with fully equipped kitchenettes. Also featuring: onsite parking, 24-hour check in, high speed internet, free wifi, LCD TV - all services that satisfy guest’s needs - furthermore the property recently upgraded to the SKY TV’s 12 channel digital headend, (Full HD) in all 42 of their rooms. What does net-zero energy mean? properties and retail services that includes the renovated Mrs Woolly’s General Store and a full range of guest accommodation options. The aim at Camp Glenorchy is to “live in harmony with nature, conserve resources and protect the environment for future generations”. Unique and unforgettable, here guests find a beautiful destination where they are welcomed by the hospitable locals and are offered the comfort of a range of delightfully appointed accommodation options that are also an environmental inspiration, as the first net-zero energy accommodation in NZ. and providing an idyllic guest experience. Together they agree: “Camp Glenorchy is designed to inspire our visitors and guests and is hoping to lead by example in sustainability.” Prior to creating Camp Glenorchy, Debbi and Paul gained experience when they co-founded IslandWood, an environmental learning centre in Bainbridge Island, near Seattle USA. Completed last year, Camp Glenorchy contains seven cabins, four bunk huts and generous community facilities including a lounge, dining room, kitchen, outdoor barbecue area, a fire place, amenities, open lawn and multi-function event spaces. A team of experts from different fields were asked to collaborate on the design, and together they came up with innovative solutions to reduce energy use across the site. Local and international craftspeople and artists have also been involved, leaving their creative touches around the environment, in the window, doors, flooring, wall art and furniture. The resulting buildings are lovely to look at, comfortable and stylish on the inside and work well using a range of energy efficiency measures. The outer shells have 60 percent more insulation than building code requires to retain warmth captured from the sun and generated by efficient heating systems. The buildings maximise natural light using remarkably bright solar tubes. The efficient LED lighting throughout is automated. Ground source heat pumps work together with solar collectors placed on roofs to provide heat and hot water. Ingeniously, guests can also manage energy use during their stay using the interactive tablets installed in each room. Camp Glenorchy’s energy is generated by its extensive solar garden, which is designed to avoid shading their neighbours, allowing equitable access for all to sunlight. This project is certainly not just another beautiful accommodation option in a glorious location; it has a far deeper mission. Debbi and Paul set out to not only achieve net zero energy for themselves but to also inform and educate guests. “We want to demonstrate it can be done and provide resources that change the way our guests think about energy when they return to their homes and communities,” said Debbi. Are we destined for a robotic hotel workforce? The robotic revolution in the hospitality industry just seems to have taken a step back. This could involve a machine that roves around the hotel answering guest questions in their native language. It’s hard to deny the perks of such a service. This January, the famously quirky Henn-Na Hotel in Japan fired half of its 243 robot staff. The robotic workforce reportedly irritated guests and frequently broke down. In addition, the hotel also removed ‘Churi’ a dollshaped artificial intelligence assistant placed in each room. Churi frequently struggled to answer basic guest questions, such as providing the opening times of the nearby theme park. Automation is a hot topic right now, but have the laboursaving merits of a robotic workforce been overstated? In the following post, we’ll explore how hotels may, or may not, choose to balance a team of human and robot employees. The role of robots in hotels Certain roles in hospitality are already being given to robots. Savioke’s ‘Relay’ robots deliver food and amenities to guest rooms, eliminating a time-consuming human task and (apparently) delighting guests in the process. Relay is already being used by numerous hotel brands, such as Aloft, Crowne Plaza, Hyatt Place, Sheraton and Westin. Last year, Las Vegas casino employees threatened to strike in response to increasing levels of automation. As the concerns of robots taking jobs gather momentum, it’s worth putting things into some context. Are we destined for a robotic hotel workforce? From an economic perspective, replacing humans with robots seems to make sense. A Mckinsey study revealed how over the past 30 years, the average robot price has fallen by half in real terms, while labour costs have more than doubled. Hoteliers seem fearful of a robotic future, and the general sentiment seems to be that they can never replace genuine human interaction. A 2017 study of robots in hotels in China also found that many hoteliers are not convinced that robots can deliver meaningful costsaving benefits (although hotel guest satisfaction levels with robots was high). Rather than fullscale adoption, the utility of robots surely lies in their capacity to carry out behind-the-scenes labour, such as carrying guest luggage to rooms, cleaning, and low-skilled maintenance. However, there’s reason to believe robots may also assist guest-facing employees. Right now, three US hotels are trialling a new Google Assistant Interpreter Mode that acts as a real-time translator between guests and staff. It’s easy to imagine how translation technology like this will eventually be integrated into a humanoid ‘translation bot’. As for the near future? It’s more than conceivable that driverless concierge services will replace the human valet, and that robots such as Flippy (the world’s first burger-flipping droid) are deployed in hotel kitchens. It’s worth remembering that no matter how advanced robotic workers become, the human touch will always be crucial to hospitality. As we’ve seen at the Henn-Na Hotel, robots with technical glitches can quickly wreak havoc, hindering hotel operations and frustrating guests in the process. If technical glitches are overcome and hotels begin installing more robotic workers, will there be mass strikes by human employees? It’s also important to consider customer preferences. If greater automation is an inevitability (which it seems to be), will guests start paying a premium to stay at tech-free hotels boasting ‘humanonly’ interaction? Finally, if machines are eventually able to display a convincing range of human emotions, would knowing that these emotions were effectively being simulated rather than ‘felt’ make these interactions feel more creepy than engaging? Questions such as these no longer belong to hypothetical debates. The explosion in automation now demands they’re given genuine consideration. More recently, Chinese ecommerce firm Alibaba unveiled a robot porter of hotels called ‘Space Egg’, which integrates with the company’s AI assistant ‘AliGenie’. Not only can Space Egg take voice commands from guests, it’s able to interpret touch and hand gestures too. In the Smart TV world, technology is moving at break-neck speed. Functionality considered cutting edge even a year ago is becoming defunct as our viewing habits change and evolve. The meteoric rise of streaming technology means consumers have quickly adapted to a personalised viewing and listening experience that embraces what they like and delivers it on demand. Roy Morgan polling shows some two million Kiwis now have access to Netflix, 2018 seeing a 35 percent jump in subscribers from the previous year. Manufacturers have responded by creating new commercial media packages which include built-in streaming adaptors (such as Chromecast) for instant and secure casting, as well as full access to the operating systems and app stores that guests use every day at home. This improved performance, customisation and flexibility ensures hoteliers can provide their guests with the very latest infotainment experience. Lease to improve presentation and appeal Expectations around in-room technology have risen in parallel with increasing tech-savvy guests. Digital distribution systems (the ability to connect devices and share content) and smart TVâ&#x20AC;&#x2122;s with inbuilt Netflix, Neon or Lightbox are now must-haves, not nice-to-haves. An old tube TV is not enough, with guests expecting an entertainment experience which is better than at home. Leasing enables you to keep up to date with the latest technology and meet increasing customer expectations. so you can keep up to date with customer expectations. The total cost of a room refit with LeasePlus can be as low as $83 per month, which can have a flow on effect and result in an extra $7,500 income per room per year. Lease to save capital and smooth cashflow Leasing saves a big upfront cost, working with your cash flow cycle and can free up your valuable capital for investment elsewhere in your business. Lease to save on tax Leasing makes good tax sense. Repayments are fully deductible operating expense with tax advantages and efficiencies you can discuss with your accountant. With these systems, hotel managers can deliver customised welcome messages, promotional offers and local attraction information to specific rooms. They even allow accom properties to offer an on-screen customer satisfaction survey for instant guest feedback - in time for any grievances to be addressed before negative reviews appear on TripAdvisor. Analytics provided through the system, meanwhile, provides data which helps properties to customise their advertising and viewing options in differing situations and locations. Whether they can connect to the system remotely often depends on their IT policies. damaged TVs out there from guests plugging devices in and roughly taking them out. “The advantage of being able to connect wherever they are is they can enact marketing opportunities or information bulletins as and when needed. “The technology coming to market now gives the guest the ability to ‘cast’ their own content from their personal mobile devices, including devices from Apple, Android and PC. We asked Greg Bassine, director of Streamvision, to explain more about the advantages of remote management of TVs. While there are many ways for a guest to BYOC (bring your own content) to a guestroom, the latest are far less cumbersome and damaging than their predecessors. He said: “Within a connected world, it is important that management teams of accommodation properties have access to key systems which can have a dramatic and immediate effect on their revenue and performance. “Most systems within the hospitality market are built on cloud, or web based and hosted internally. That means a manager of a property can easily access the system through a web browser. in terms of screen sizes and numbers, manufacturers allow for a shortage of running capital across hospitality businesses and understand the importance of maintaining a current inventory of TVs. Lease options are offered by the major players which cover installation, maintenance and design options for properties ranging from country town motels to large resort and hotel groups. Options include quarterly payments over set term periods and can be negotiated direct with the company. How cloud can transform the accommodation industry Now that the first wave of disruption from alternative accommodation providers has subsided, business leaders in the accommodation industry must take a fresh look at their businesses and develop ways to compete more creatively. For some, this could mean providing more individualised services that make guests feel like VIPs while, for others, it could mean implementing technology that lets guests check in and check out without ever coming face to face with a staff member. The accommodation sector continues to become more competitive with new market entrants, as well as the ability to provide personalised, technology-driven services that make accommodation providers stand out from the crowd. Business leaders need to free up time to innovate strategically, rather than focus incessantly on the numbers. The possibilities are broadening and accommodation providers need to understand which opportunities are right for them. Without careful, strategic planning, accommodation providers could find that, in their quest to be more competitive, costs have spiralled out of control and basic compliance tasks are time consuming and error prone. single, scalable system from which to manage every aspect of their business, saving time and increasing productivity as the automated nature of cloud-based processes helps businesses do more in less time. It can automate reservations, emails, inventory updates, payments, and even housekeeping. The flexibility of the cloud also means businesses can operate their property management system from anywhere. With the burden of managing costs and compliance often falling to an organisation’s finance team, finance is one of the first functions to benefit from moving to the cloud. Embracing emerging technologies is key to more efficient financial management and business operations in the accommodation sector. software-as-a-service (SaaS), which eliminates the time and cost involved in rolling out software solutions to the organisation, and lets users access systems via the internet wherever they are. Matching guestroom amenities to your property can have a surprisingly profound impact. As a former boutique property owner, I witnessed guests literally salivating over the handmade scented soaps in our country cottages (each bar did contain real honeycomb). Luxury amenities: What are the latest trends and brands? overall guest experience. They may be understated in comparison to the size of a pool, ocean-view decks or a well-renowned in-house chef, but they are also used by everyone who visits and will last long in the memory if thought through properly. Guest expectations can be exceeded at all calibre of accommodation by choosing wisely. at Astro Hospitality, and Brent Foster, general manager of The Starline Group, about how to tell a property’s story through its little bathroom extras. brand alignments of hotels with global luxury retail brands that the discerning traveller will be familiar with. Guests are becoming increasingly aware and discerning about the product they are using on their skin. There is no better way to gain and retain your guest’s trust than to provide them a range of beautiful toiletries with a luxury brand that they can trust, some examples of these are BVLGARI or Aqua Di Parma. Brent says: We’re seeing a marked trend away from retail brands and globally recognised labels to truly authentic, locally themed and locally designed and crafted amenities. This is what “luxury” is really. No one could deny that a guest is more likely to remember, and indeed return for, a guest amenity product of high quality that tells a local story and engages, than merely a brand. cognisant with the ingredients listing on their dispensers and what they mean? Jimi offers a different take on custom branding. He says: Custom-branded amenities have evolved so far from the days of ‘insert hotel name’ shampoo. We work with our clients to develop them their own brands. making false claims! Go green, sure! But ensure it’s authentic. Reuben says: Often hotels look at amenities as a cost to running a hotel. However, it is important to look at bathroom amenities as an investment into your guest’s journey and a tool to provide an insight in to the story and brand of your hotel. This can be a change in the design of the packaging using one of our existing formulations to being a full bespoke formulation including their very own essential oil blend. It is a known fact that the toiletries in the bathrooms are one of the key factors of an enjoyable stay, especially with the female guests. While it is possible to create eco-friendly and luxe through dispenser systems in a luxury spa brand it is harder to do this on a low budget as with low cost product there is often a compromise somewhere in the formulations. Custom-branded amenities: Are these on trend and do they say ‘quality’, or do guests prefer an amenity brand? don’t speak quality. We’ve seen a move away from this in recent years and I think the reason should be obvious. Your guest doesn’t stay with you to collect souvenirs. They’ve come because your hotel or motel best serves their interests, their status, their location, their gender, their ambitions. Provide amenities which connect with that. moving away from their own hotel logo being put on the toiletry products. There is a shift to a brand that helps to tell the story of the hotel, and a range that their guests can trust. Guest often look at hotel branded amenities as another opportunity for the hotel to get their logo in front of them as a marketing tool as opposed to providing them with a beautiful brand that will create an amazing experience for them. is to have the right amount of ventilation and breathability. Proudly family owned since 1899, A.H. Beard has helped generations of Australians and New Zealander’s get a better night’s sleep for 120 years. Drawing on five generations of bed making experience, A.H. Beard has been pioneering innovative sleep solutions and know the engineering that goes into every King Koil mattress is second to none. Ensuring you get a great night’s sleep, night after night. Strange as it seems in our world of speedy advancement and techy disruption, a cleaning tool championed for almost two centuries is making a comeback. Industrial advances and a growing demand for ‘green’ cleaning have ushered in a new age of steam. Latest technology has seen the humble steam cleaner transformed through enhanced water and energy consumption, and increased reliability and efficiency, into an integral part of accom managers’ toolkits. Using relatively small amounts of cold, clean tap water, the modern steam cleaner creates a lowmoisture vapour in its internal boiler. The vapour particles of this fine mist are smaller, and therefore dryer, than those of steam. Superheated dry steam not only dissolves grease and grime, it sanitises surfaces - in contrast to mopping, which tends to spread bacteria and leave the floor wet, risking falls. At these temperatures, the residual moisture left after steam cleaning rapidly evaporates. textures of a surface or leaving residues or stains. Most traditional cleaning methods use water and detergents, which ensure the surface smells fresh and clean. However, bacteria left behind may accumulate rapidly under the still slightly moist surface. The deep cleaning effect of steam ensures that bacteria and other micro-organisms are destroyed, even in the pores of the contaminated surface. Any minimal residue left behind can be removed by the use of microfibre or vacuuming. Food preparation areas, including stainless steel worktops, grills, ovens and even fridges and freezers can be cleaned and sanitised in one step, which can save significant amounts of staff time. All of which means modern dry steam cleaning machines offer a cost-effective and versatile option for deep cleaning - and one that is also user-friendly and kinder to the environment. As a result, steam cleaning is undergoing a resurgence as an ecological cleaning method. Industry view: Grant Lewis, director of Steamtech Systems, shared his insights on latest options for steam cleaning. By using a dry steam system, you can use one method of cleaning and sanitizing requiring no chemicals. That will save time and money, and by not using any chemicals, you can make another saving: The business can also claim to be more sustainable and environmentally aware. Many customers may have allergies or adverse reactions to harsh chemicals. They also like to protect their children from coming into contact with cleaning chemicals. Bathrooms Using a good steam machine, you can clean and sanitize toilets and bathrooms. It will kill any mould in grouting and other hard-to-get-at areas. There is no need for a host of different chemicals, just steam and some microfibre cloths, which can be washed and re-used. Most machines will come with a range of attachments to clean tiled floors, walls, toilets and even mirrors. Bed bugs are a problem for any accommodation provider. They can be killed with pesticides and through fumigation. These, however, are sometimes not pleasant substances to be around and can cause downtime issues if a room or facility cannot be used for hours and /or days after treatment. Steam is a method of controlling bed bugs which does not require chemicals. The bed bugs and their eggs will die at temperatures of between 47 and 50 degrees Celsius. By using a steam machine, the mattress and base can be steamed and vacuumed and left for an hour to air before re-using. The steam machine delivers steam with only ten percent moisture, so the surface is never wet. Steam cleaning machines also come with attachments which allow operators to steam and vacuum floor coverings and soft furnishings such as sofas, blinds and cushions. Versatility is an important factor for accommodation. Steam cleaners can tackle both indoor and outdoor applications, cleaning small cracks and driving dirt from crevices that other cleaning devices cannot reach, including tiling grout. The dry steam machine will create steam in the boiler at temperatures between 150 to 178 degrees Celsius and will deliver steam at the gun tip at 110 degrees Celsius. Most bacteria will die at a temperature of 72 degrees Celsius. her story with our readers and ask what it’s like to be an award recipient and gain such wonderful industry recognition... Confident, warm and energetic Annalise grew up in New Plymouth playing volleyball, piano and violin, so you might presume a career in sports or music would be the path she chose. But her love of travel triggered an interest in the hospitality industry. This led to study at AUT and the completion of a degree in international hospitality management and business. This is a professional Stainless Steel machine. Thanks to a patented water preheating system, the machine produces dry, quality steam at a stable operating pressure. Features and benefits include: • Three Steam and Vacuum settings to control steam output. • There is a range of attachments supplied for most applications. • Auto refill boiler for continuous steam. 10 Bar operating pressure. 178 degree boiler temperature. • Detergent facility if required. Features and benefits include: Stainless steel cleaner with safety cap and manual charging system. Nominal pressure of 6 bar and steam temperature of 155°C. Steam regulation tap for an operating time of 45 minutes. Thanks to the many accessories the Luna is suitable for multiple cleaning purposes. A great little starter package for an economic and eco friendly cleaning solution. of the Year Award which she describes as “a very proud and humbling moment”. Annalise’s views on leadership… “Leadership is by example, leadership is a counsel and a support, leadership provides the path, encourages the journey and celebrates the outcome. “Leadership to me is the fun part, the part where a culture and way of working can join the path of change for constant betterment of business and self. closely with the procurement team ensures the design is realized in its fullness. Often the design process reveals a need to rationalise budgets and reallocate budgets to different areas. Our procurement team gives us that capability. The team has an innate understanding of design, and executes so it is delivered in line with the original concept. It’s been a stellar 12 months for specialist interior design studio Space Studio with the completion of a number of high-profile projects around the world - including the opening of Six Senses Fĳi, SO/ Auckland, and the naming of the Grand Windsor as the World’s Best New Hotel. So what does Space Studio’s Vee Kessner believe it takes to create a world-class hotel? Stay fresh To create unique guest experiences, it is vital to constantly research and investigate the changing needs and desires of travellers. By continuing to push the boundaries of the design response and the boundaries of the brand standards, the design response refines. One must also have clarity of design narrative. This allows the design to develop and coherently permeate the entire design. come with the demands of a constant flow of guests through the building. Operators have great insights into their clientele and how the building needs to respond. As designers, we must support that at all levels - not just from the planning point of view, but durability and fit-for-purpose specification. Be passionate It can take more than three years to complete a hotel project and throughout this time period one must remain passionate for the job at hand. By remaining open to new ideas, changing needs and developing technologies one can respond appropriately. I’m always seeking to understand new design aspects; I’m always reading; I travel a lot and seek out different places. I do the research to find new, exciting, varied spaces to experience. Get the basics right Hotels should be intuitively comfortable and easy to use for guests while remaining interesting and unique. While it may be desirable to incorporate and respond to new trends such as ‘wellness’ and developing technologies, the basic principles of hotel design must not be compromised - comfort, ease of navigation and ease of use, and the ability to intuitively operate the room one occupies. Simply creating a beautiful room is not enough anymore – there needs to be a deeper connection for guests and this is increasingly being done through a design narrative executed through artifacts, artwork or a compelling story. In the past you might have seen black and white photos of the city on the wall - that has now developed into a much deeper story which is often not executed literally. It needs to have some thought and creativity behind it. As an example, when we began work on SO/ Auckland five years ago, we came across a French film about the birth of an island from a volcano which was incredibly relevant to the history and location of the building. This had a major influence on our design narrative with each room having one of three different volcano-related themes. We were also influenced by the building’s history as the Reserve Bank with the use of different metals throughout the building. A wave of colour and individuality is sweeping through the world of accom design, washing away any vestiges of bland and uniform. Properties from luxury hotels to indy guesthouses are combining quirky touches and a renaissance in colour with a focus on all things natural and health-giving. The concept of ‘slow life’ - living more consciously, saving space, and giving priority to timeless, sustainable materials - is translating from homes to hotels and driving the trend towards the careful curation of individual pieces. And as work spaces become increasingly flexible thanks to roll-up walls, reconfigurable furniture and power outlets built into floors, designers are focussing more than they have ever done on the appeal of accom’s collaborative spaces. relaxed visual aesthetic. Crisp white bedding continues to be an on-trend look, providing a fresh and clean feel and setting the tone for almost any decorating style. Keeping things simple with white bedding forms a foundation for the introduction of other colours, different textures or subtle pattern around the room. Wardrobes, mirrors and bedside tables remain essentials within a hotel room with additional seating and a residential-style kitchenette complete with a coffee machine providing ‘home away from home’ functionality and comfort. Anita Reid, senior interior designer at Admire Commercial, says the industry is gravitating towards a design scheme which “caters for the target market whilst offering a cohesive style with personal flair”. We asked her to guide readers through accom styling in 2019, and to explain how an interior designer can help achieve the optimum balance between style and practicality. guests whilst complementing the overall design scheme of the lobby. As an alternative to artwork and other art pieces, wallpaper is constantly evolving to be more decorative and bold. From 3D style effects through to one-of-a-kind wall mural designs, these choices create a striking visual statement. What are the leading colour palette choices for 2019? A key trend of materials inspired by nature such as wood and stone continues. A move towards a warmer tonal colour palette that encourages a relaxed ambiance is in-keeping with this reconnection with nature. With a focus on the guest experience, mixing neutrals with more intense colours creates engaging results. Layered tones of blue, shades of green alongside bursts of mustard yellow, vibrant corals and calmer peachy pinks. setting, offering comfort and softness. With a forever expanding range of innovative designs and quality products there is something suitable for any application on offer. Giving careful consideration to functional requirements is a determining factor underpinning curtain and blind selection. Whether it be a textural sheer to allow for control of natural light and privacy, or an elegantly draped heavier fabric, the importance of window treatments that provide light blocking qualities within bedroom spaces is of key importance. important to get the marketing right. Accessibility travellers do a vast amount of research online and properties need to provide detailed, easy-to-find information. Details such as door widths (ideally 80cm externally and 75cm internally), audio announcements, signage options, bed height and side space, under-desk clearance, level or ramped accesses, bathrooms fittings, and handle, switch and rail heights all count. Customer service training also matters - being disability aware with the right attitude and confidence to serve all customers helps remove barriers and can make the guest experience far smoother for disabled clientele. Accessibility training courses by specialist providers are a good place to start on this. hotels which have deviated from the chapter and verse stipulations of the regulatory AS1428.1 safety standard, while retaining its legitimate requirements. Provide seating close to reception or fast track people who can’t stand for long. Provide a clipboard and large diameter pen for people checking in. Be prepared to write down information or complete forms on people’s behalf. Provide a magnifying glass for people with a vision impairment. “If you apply modern-day thinking, where much of what we interact with is adaptable and delivers an element of choice, then you are on the road to what an enlightened accessible ensuite bathroom consists of,” Knowles says. If you can’t lower the reception desk/table, offer to check in guests in common areas, bedrooms or from their car. Welcome visitors who use assistance dogs (this is required by law). Use contrasting colours for door frames, skirting boards and edges of steps throughout the property. Provide clear signage with large text and high contrast throughout. people using the intercom. Provide a mobile number for people who are deaf, hearing impaired or have a communication disability. “Fixtures like grab rails and shower seats can be added or removed, adjusted in height and their location in a disabled bathroom. Adapting social spaces for accessible travellers is about common sense, easy fixes. Use pictogram signs, for example a knife and fork and a clock face showing meal times, to assist people with low literacy levels; and either read out or download menus onto an audio player for the sight-impaired. Contrasting colours avoid the spectre of white crockery, white linen and clear glasses on a table setting (this also applies to coloured towels in white bathrooms). And providing quieter, low background noise areas and well-lit area options, while being happy to move tables around and provide seats with or without arms, all help accommodate guests’ needs. Does door lock technology deliver? Keeping up with customer demands for a seamless accom experience is a constant challenge, particularly when it comes to door locks. The days of the metal key are truly numbered, despite it having prevailed for more than two thousand years. The technology surrounding keys and keycards is rapidly evolving, with manufacturers constantly improving the performance of their digital offering and striving to develop solutions tailored to the desires of customers and operators. Aside from keeping up with demands for speedy and hassle-free access, though, latest technology must deliver on the age-old basics of safety and reliability. After all, the humble and utilitarian door lock not only provides physical security for belongings and people but creates emotional reassurance - and can help create a sense of belonging - for those who may be outside of their comfort zone and a long way from home. AccomNews looked at latest door lock technology to see if it fulfils the requirements of a quality lock while making life easier for operators and guests. The advantage of using contactless technology is reliability of hardware. There are no card insert slots to be cleaned which can gather dust or be tampered with. to make any sacrifice to the life of their device batteries. The security of such checkin systems has been called into question, with mobile access understandably seen by some as susceptible to data theft . But latest mobile access solutions include a series of built in safeguards designed to eliminate the possibility of hacking. They ensure data is first encrypted using the industry’s latest protocols, and then transmitted to guest devices using a secure communications channel. Once received by a device, the data is then stored within a secure vault located on a hotel’s app. A secure channel is again used to deliver encrypted digital key information from a guest’s device to the appropriate door lock once in proximity. Near-field communication (NFC) and radio frequency identification (RFID) NFC and RFID door lock technology are contactless keycard options popular with accom operators. They also include advanced encryption technology that eliminates the risk of unauthorised keycard cloning,and they can be remotely deactivated should one become lost or stolen. Transform guestroom access to a new level of convenience State of the art RFID Electronic Locks DormaKaba offer a selection of locking options and access control systems that provide front and back of house security, efficiency and convenience. Options are available for all budgets. Full body locks are recommended for both new and retrofit applications. DormaKaba locks can be equipped with Bluetooth Low Energy (BLE) for secure mobile access integration and a seamless digital experience. Make Mobile Access a reality today DormaKaba locksâ&#x20AC;&#x2122; compatibility with mobile apps allow for convenient and efficient check-in process. Our locks support multiple integration options. NFC and RFID keycards provide hotels and their guests with advanced encryption technology that eliminates the risk of unauthorised keycard cloning. enhancing the potential for additional hotel revenue. kiosk or a personal experience by checking in at a desk. Different systems for different properties? “Key is that if a door lock purchase decision is made, that the product of choice does support BLE. A hotel may not wish to make use of BLE, but this may change during the lifecycle of the system purchased today. Injuries happen without warning in every workplace - but particularly ours. Accommodation and food services has an unenviable reputation for workplace incidents which see it sitting just behind mining for numbers of injury claims made in 2017. OK, so we’re not deep-sea trawling or ice trucking in Alaska, but latest figures from Stats NZ show the sector records 91 claims per every 1000 full-time employees. Injuries such as sprains and strains account for the majority incidents. Burns are also commonplace, due to numerous factors including hazardous chemicals, boiling liquids, stress and fatigue. Other risk factors include lacerations and amputations from machinery and equipment, electric shocks (when vacuuming wet carpets or cleaning ovens, for example) and violence and aggression due to drugs. While everyone from industry leaders to union reps to the community has a part to play in reducing incident risk, it is vital that individual business understand and embrace their first aid responsibilities. aider for every 50 workers in low-risk workplaces and one for 25 workers in high-risk workplaces. Every hospitality business must give workers access to first aid equipment, information and a trained first aider. Lifeguard Practising Certificate is a must-have. This covers first aid, resuscitation, swimming and water safety. Many people come into accom management from completely different careers: entrepreneurial and resourceful, yes, but green when it comes to industry experience. Learning the ropes as you go can be an intimidating and costly undertaking, but not when you’re backed by a model which offers in-house training, ongoing support and access to cool heads with a wealth of industry knowledge to provide “been there, done that” reassurance. Quality franchises are welloiled machines that, in many cases, have been operating accommodation for decades. The management tiers that come with big franchise chains provide a support system for issues from OTA interactions to run-ins with guests or specific property problems. As a mum-and-dad operator in a regional or rural area, trying to get your product noticed in a world dominated by online travel agency platforms and highly-tailored social media marketing is daunting. And it’s particularly hard if you’re an independent who is not operating in the high-end luxury sphere. Those choosing to join a franchise often do so because it provides greater access to marketing and booking networks with an extensive reach. While a franchise must align with what a property has to offer and franchisees should always research carefully before making a switch, there are several models out there which makes matching a property with a like-focussed franchise an easier task. Teamwork makes the dream work Franchise networks frequently boast some sort of loyalty network of scheme. This incentivises guests to stick with a brand and creates repeat business across the group. Loyalty is key when it comes to attracting business guests - it is almost a prerequisite for any property looking to attract those travelling for work. Accruing points means those business travellers are far more likely to rebook directly and return with their families. Franchises will also tend to come with a property management system which facilitates the creation and cross-sell of marketing campaigns across all platforms, encouraging guests to book with any of their franchisees. And lastly there’s the flow-on effect of fellow franchisees create such a memorable experience for guests that it convinces them to book just because properties share the same brand umbrella. The crosspollination of guests is especially helpful for those in competitive markets, where guests are likely to ‘go with what they know’. market dominance. Having said that, it doesn’t take much to realise that losing the business of a company with 100+ hotels is going to matter more to an OTA than the loss of a small boutique hotel. It makes sense that franchises often have power to negotiate lower commissions on behalf of their franchisees. Another benefit relating to bookings is that larger accommodation brands often have successful strategies in place for increasing direct bookings. They also tend to have the available resources to experiment with different advertising campaigns and techniques. While guests might not think to check the website of a niche property to see if there are any benefits to booking direct, most people tend to know that big brands offer free wifi or complimentary items to whoever books direct. The hurdles are greater when you are going it alone because social media savvy and marketing ingenuity are not things that can always be grown organically, they cost money. by their customer ratings. Putting positive feedback in the bank counts - it accrues interest over time. Where independent properties have to start from scratch when it comes to reputation, franchisees benefit immediately from the reputation of a parent franchise. And they are required to adhere to a predetermined set of quality standards, so there’s never a doubt about what’s expected when it comes to benchmarks. an informed choice. Also, fitness is a priority, especially for luxury resort marketers: Americans 55plus (54 percent) are almost as likely as millennials (55 percent) to say they’ve exercised regularly in the last 12 months. Use this to your advantage! What happens when a hotel marketer wants to attract guests from across age groups? To speak to several demographics effectively, it helps to know the behavioural drivers of different age groups. Step 2: Match the medium to the market Once you found the right angle, now it’s time to tell the story on the channel most suited to each demographic. into a specific psychographic bucket… but here are a few key insights to guide your hotel or resort marketing by age group: Millennials: People in their 20s/Gen Z are surprisingly practical!So if your hotel targets those in their early 20s, consider showing how much value your hotel product/ experience provides. Focus on the Instagrammable moments at the hotel and/or in the destination. And go ahead and ask for the sale: Only 15 percent of millennials say they don’t want a hard sell from ads. 30s/40s: This age group fractures into a variety of narratives, depending on the objective of a specific trip: business travel, intergenerational family travel, or couples’ getaways. Millennials: These are more likely to see YouTube ads, bloggers and hotel social media influencers as trustworthy sources. each demographic most affordably, you can decide how to scale up your marketing. Millennials: As we’ve seen, hotel social media works best with younger travellers. When marketing to these demographics, consider approaches outside of e-mail, such as influencer marketing and paid social digital ads. In addition, using video and social media continues to be an effective way to reach these age groups. In fact, 36 percent of Gen Z has chosen a destination after seeing it on social media. This includes YouTube, which is the most trusted sources of advertising for 30 percent of Gen Z in a Generational Kinetics study. Also, consider ways to make group travel easier. Many prefer travelling with friends and want to know the experience will be easy and fulfilling. As far as booking window, younger demographics also tend to book closer into the trip, so focus spending on ripe decision-making times. 30s/40s: Whatever the context, this demographic wants to know that your hotel will provide the best experience for that trip type. 30/40s: Marketers must take different approaches when it comes to business travel, family travel, and couples travel. Leverage user-generated content and social validation to share reviews, photos, and videos from past guests. Business travellers want convenience and consistency, couples prefer romance and adventure, and families seek out activities and choices. By using your owned channels to highlight actual guest experiences, your hotel shows dedication and adaptability to a variety of trip types. When marketing to business travellers, loyalty marketing programs are critical. Over 55s: Newspapers, magazines and travel agents/ experts maintain their importance for this age group. Don’t neglect these outlets in a cohesive marketing strategy! In many cases, such as for luxury stays, more traditional methods act as social proof for older consumers as they navigate the path to purchase. They really appreciated my hard work and wanted to grow me in the company. It was an amazing offer and a tremendous vote of confidence. thousands of diners enjoying a meal and majestic views from the attraction’s popular Market Kitchen café, and much more. Spotting her potential, her employer gave her the chance to advance her career with an apprenticeship to gain an industry-recognised qualification, the New Zealand Certificate in Food & Beverage – Level 4. “They really appreciated my hard work and wanted to grow me in the company. It was an amazing offer and a tremendous vote of confidence,” she says. The apprenticeship, that helps aspiring hospitality trainees gain the knowledge and know-how they need to run the show effectively, covers bar and restaurant sales, specialist wine knowledge and menu matching, staff supervision, stock control, advanced restaurant service and staff supervision, health, safety and security practices, food safety, legal compliance for licenced premises, and more. TRAINED IT TAKES A LOT MORE THAN HANDING OVER A KEY TO MAKE YOUR GUESTS FEEL WELCOME. Some people have the talent for service, but they still need to learn the right skills to do it well. The tricks of the accommodation trade. The art of satisfying customers and making them feel like guests. Whether you run a hotel, holiday park or an international conference centre the difference comes down to three words and one simple and effective concept: on-job training. Itâ&#x20AC;&#x2122;s the difference between just doing the job and doing it brilliantly. So brilliantly in fact, that your guests come back more often, spend more, recommend you to others and write favourable reviews that help attract more guests. Please call ServiceIQ now to find out how employees right across your business can go to the next level with one small step. With ServiceIQ it could even be free. attending the site with their clients and need to show the property in its real state. The line about ‘things looking good on paper but when you get there it is a different story’ is not what a professional broker wants their client to experience. Starting the search for a potential new business on the web is the obvious choice, but this will usually just provide a preliminary base to work from. The way to progress from general research to real action is to speak directly to a specialist motel broker and you will be provided with those select properties that are for sale but may not have been listed for confidentiality reasons. Serious buyers know that the way to cut through all the outdated information and hyperbole that can be found on the web is to go to the source – the people who deal with this industry on a daily basis. Situated in the best location in the main street of Kerikeri, this 15 unit motel with 18 and a half years remaining on the lease will give new owners an excellent lifestyle with a potentially increasing profit, going on past performance with high occupancy both in summer and winter. 11 spacious, self-contained units, comprising of studio units (1 and 2 bedrooms), 6 have spa baths. All units are ground-floor with off-street parking directly outside. Situated on Thames Street, State Highway One. Would suit a buyer new to the motel industry, or one that would prefer a motel that is easy to manage. Owner’s residence is a separate 3 bedroom home. Call us today on 0800 759 333 or visit guestselect.co.nz and let your guests enjoy the fantastic mix of Sports, Movies, News and Entertainment channels.